One woman's journey across many types of borders. The food in Turkey was delicious and we experienced it in many forms and many places: from elegant restaurants with white table cloths and doting waiters to the chaos at the floating fish sandwich boats at Eminönü. 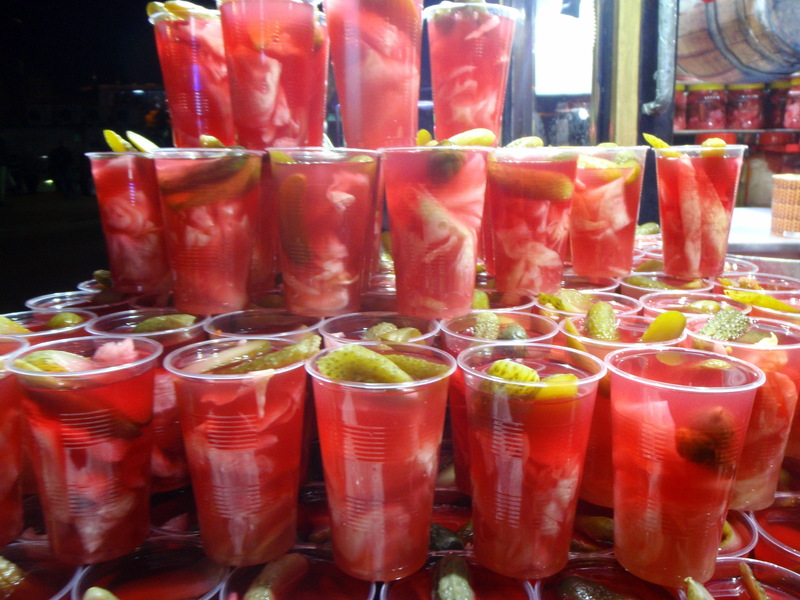 The traditional accompaniment to the famous fish sandwich is pickle juice. Some versions of the drink are only juice, while others include vegetables as seen below. 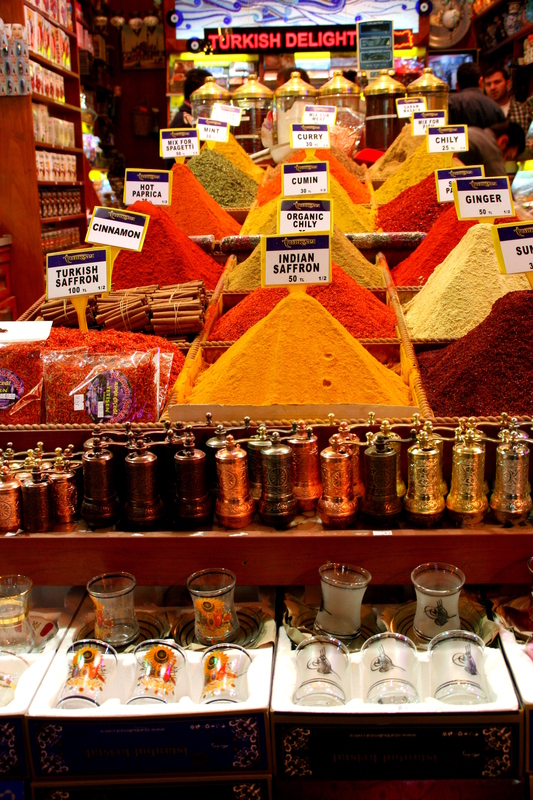 I have to say, the Turks know how to use their spices and their vegetables. Turkey’s typography and climate zones are varied enough that just about everything grows somewhere in the country. 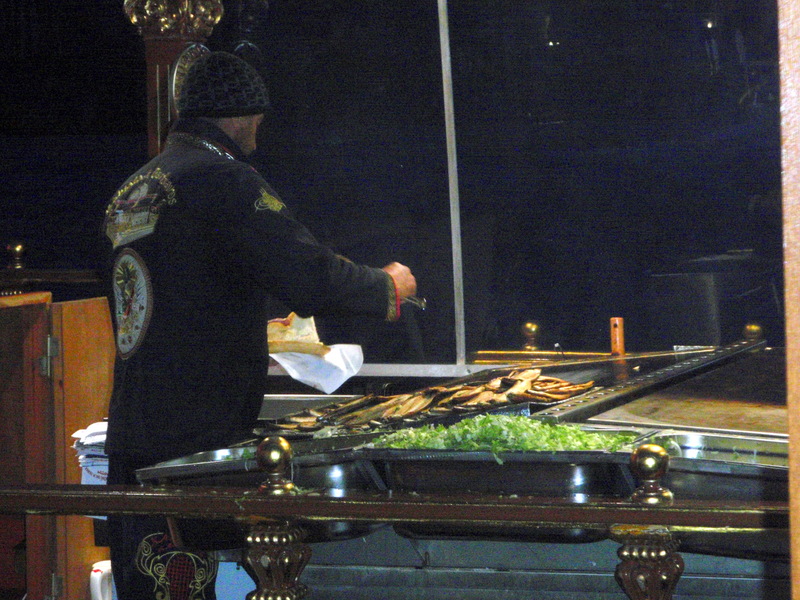 Fruits, nuts, vegetables, and meat — there was no lack of variety in restaurants and in markets. 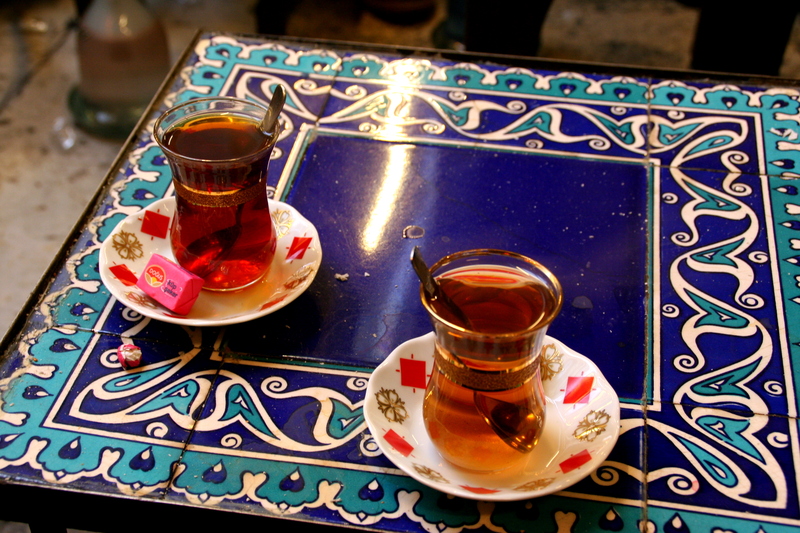 The Turks are also ubiquitous tea drinkers. When walking down a street, we were frequently passed by a man or boy carrying a tray with two or three glasses of tea. I assume these were going to a shop owners or workers unable or unwilling to brew their own. Tea is drunk from glasses, not cups, and always served with sugar, but never with milk. 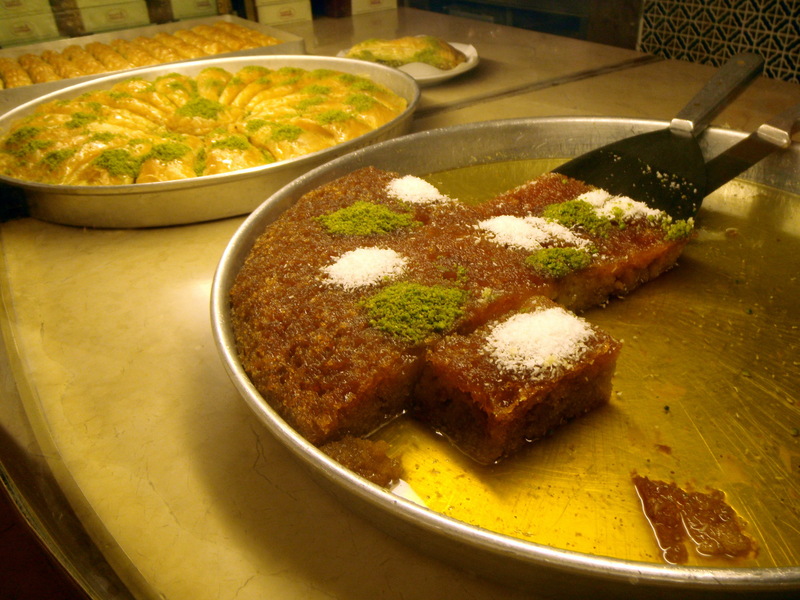 Honey is also extremely popular in Turkey. Most stores carry jars of nuts immersed in honey. 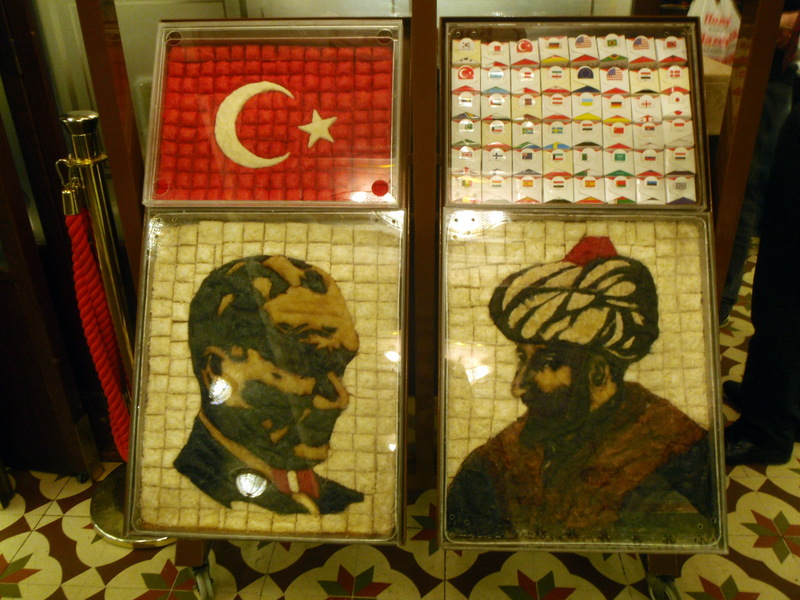 We were told that the Turks consume these to get energy. 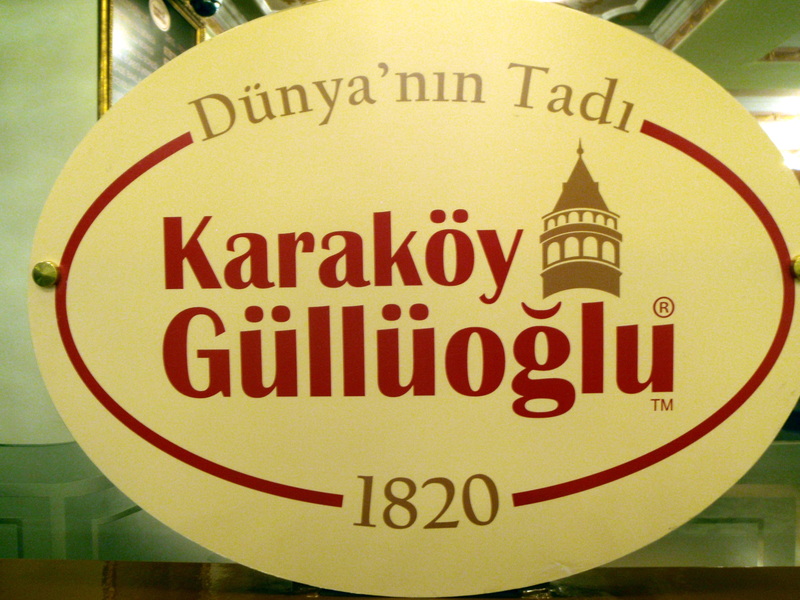 My daughter and I got our own (over)dose of honey the evening my friend and former Svanholm guest, Sungur, took us to Istanbul’s most famous baklava purveyor. I never knew there were so many different types of this tasty treat. It was hard to choose because they all looked so good, so we tried a few. 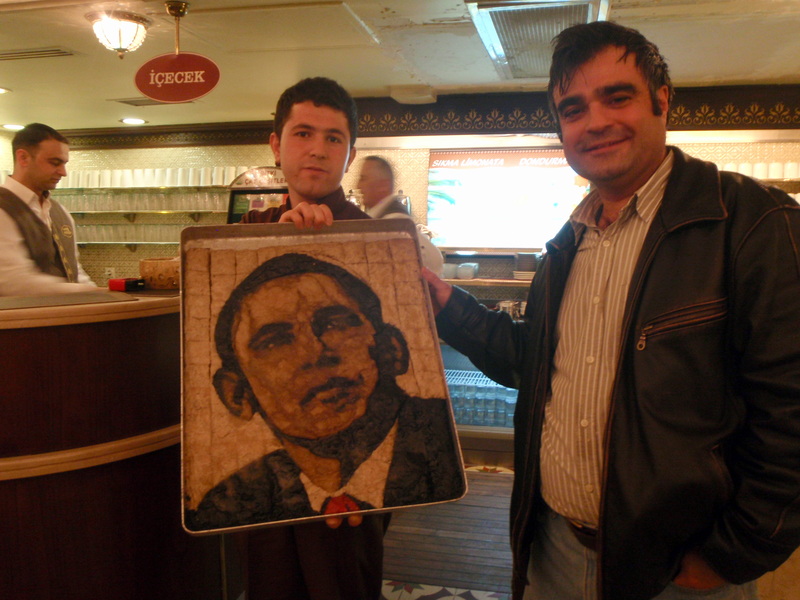 It was also in this establishment that we saw portraits made from baklava. A new Minnesota State Fair category perhaps? See if you recognize anyone in the portraits below. 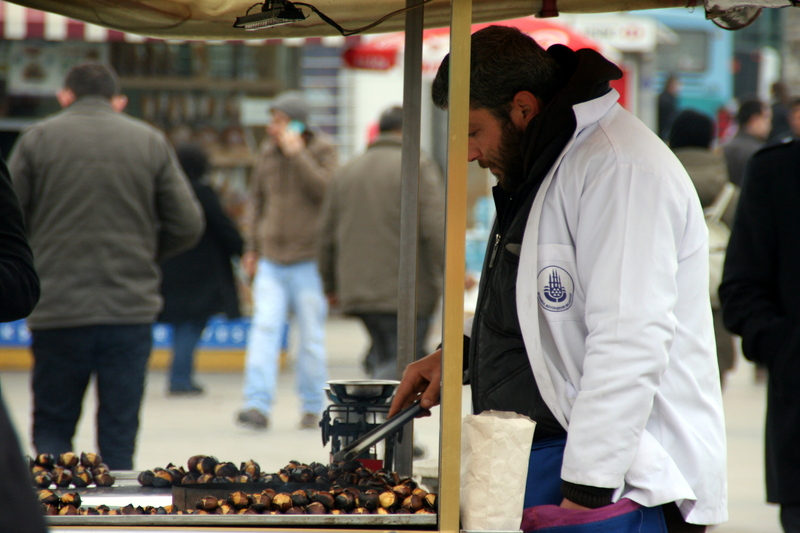 Because we visited Istanbul on the verge of spring, the street vendors were all still selling roasted chestnuts when we arrived, but many had transitioned to ears of corn by the time our week was over. Other popular stands were those selling freshly squeezed juices. 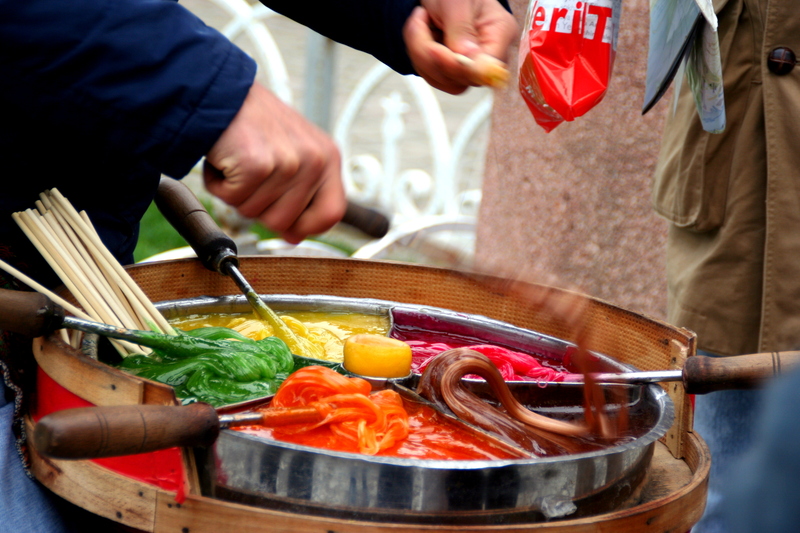 Outside the Blue Mosque we encountered one street vendor who was selling made to order candy on a stick. It was beautiful, but so unnaturally colorful that I was not even tempted to try it. Our last night in Istanbul we decided we wanted kebab. We found the perfect place, with a second floor view of the activity below, a very attentive waiter (who ran down the block to get me a beer), and a delicious variety of kebab. I still can’t believe we ate the whole thing! As always, your photos and commentary leave me in a blissful state of feeling like I got to go on vacation with you!